As part of the on-going refinement of its air monitoring network, Fort Air Partnership (FAP) removed several passive monitors in January 2019. FAP now has 47 passive monitors located in strategic locations throughout the Airshed. A key reason for the change was an Alberta Environment and Parks (AEP) analysis that showed some of our passive monitors were statistically redundant. This redundancy was in part due to the addition of more continuous monitors in the Airshed in recent years. FAP received AEP's approval before removing the monitors. Passive monitors are a simple, inexpensive way of tracking concentration levels. Samples are collected and sent to a laboratory for analysis each month to determine the dispersal of substances over a broad area and to measure trends over time. FAP’s passive monitors measure concentrations of sulphur dioxide and hydrogen sulphide. They lower our heart rates, love us unconditionally, and are so happy to see us whether it’s been eight seconds or eight hours. Our animals give their humans so much and most of us would do anything for them. One of the things we can do, is to ensure our pet’s needs will be looked after should an emergency occur. Last year, NRCAER’s Emergency Preparedness Week social media campaign focused on pets. 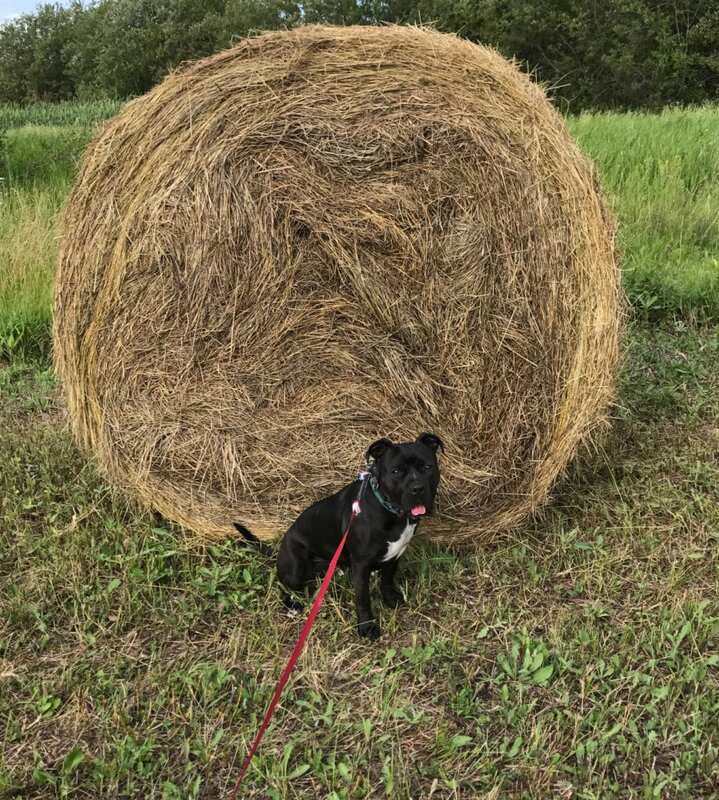 Members of the mutual aid emergency response organization submitted pet photos that were paired with preparedness tips and shared over twitter. “With so much information available, our objective was to break through and provide ‘digestible’ chunks followers could take away for their own planning purposes,” says Brenda Gheran with NRCAER. “We had record engagement, but the best part was that it was a way to turn a serious topic into fun.” The following planning considerations are courtesy of Alberta Emergency Management Agency, which has a wealth of emergency preparedness information for Albertans. If asked to shelter-in-place, bring your pet in from outside to shelter with you (ONLY if safe to do so). If directed to evacuate, take your family emergency kit and pet emergency kit with you (do not forget your carrier). If an emergency happens while away from your pet, only return to collect your pet if safe. If your pet has water, they can survive for a few days until the emergency stabilizes. Make a contact list of pet-friendly family members, both local as well as out-of- area should local phone and mobile networks be overwhelmed. If you use a kennel or daycare, know their emergency plan and telephone number and incorporate into your own plan. 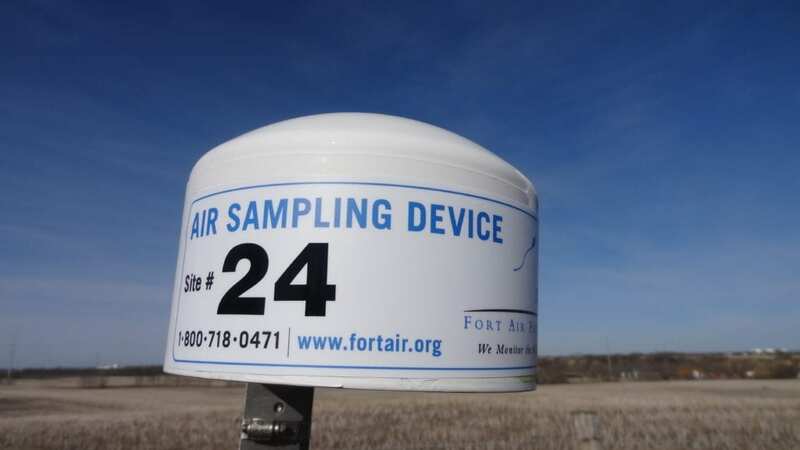 Fort Air Partnership’s portable air monitoring station in Bon Accord wrapped up operations at the end of February. After some retrofitting, the station will be moved to the Village of Chipman. The station is expected to begin operating there in May. The portable station had been operating in Bon Accord since May of 2018. 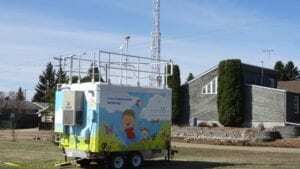 Bon Accord was selected as the first site for the new portable station because there had not been any continuous air monitoring done in the community before. Bon Accord officials also communicated an interest in learning more about local air quality. A summary report on air monitoring data collected during the nine month project will be prepared and made public. Chipman was selected as the next location for the portable station because of several key factors, including being a populated area currently underserved by air monitoring. Fort Air Partnership uses a Portable Site Selection Process to rank prospective sites and choose locations. Communicating with Community marks a major milestone this year as Life in the Heartland celebrates 10 years. 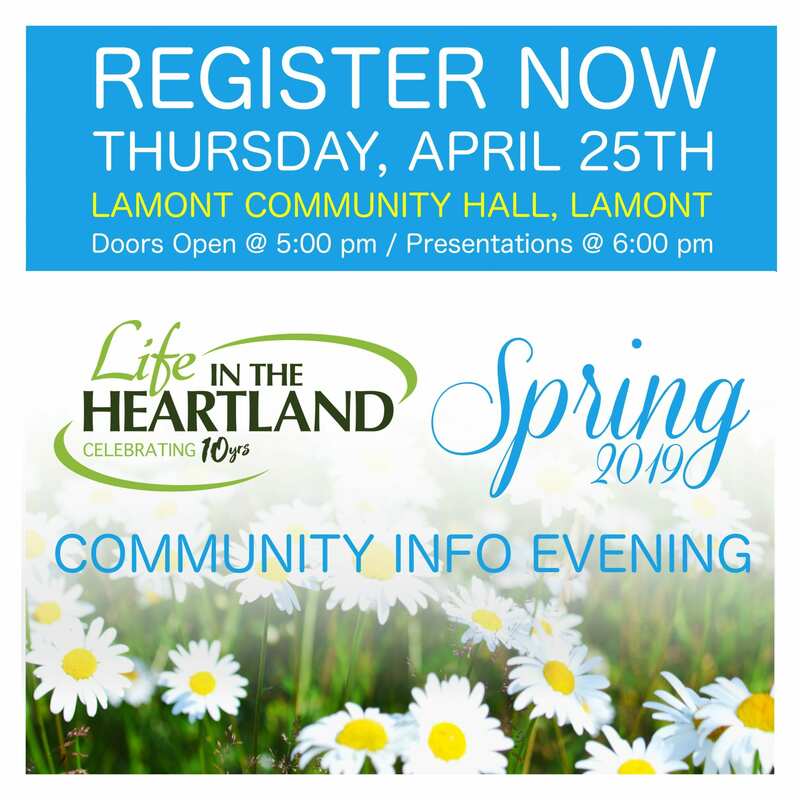 Started in 2009, Life in the Heartland has grown into a community engagement initiative with impact. Each year we bring together residents and industry and act as a conduit to ensure industry connects directly with the community it serves. Our community information evenings and sponsorship of local and regional events allows us to educate and inform about the happenings in Alberta’s Industrial Heartland. 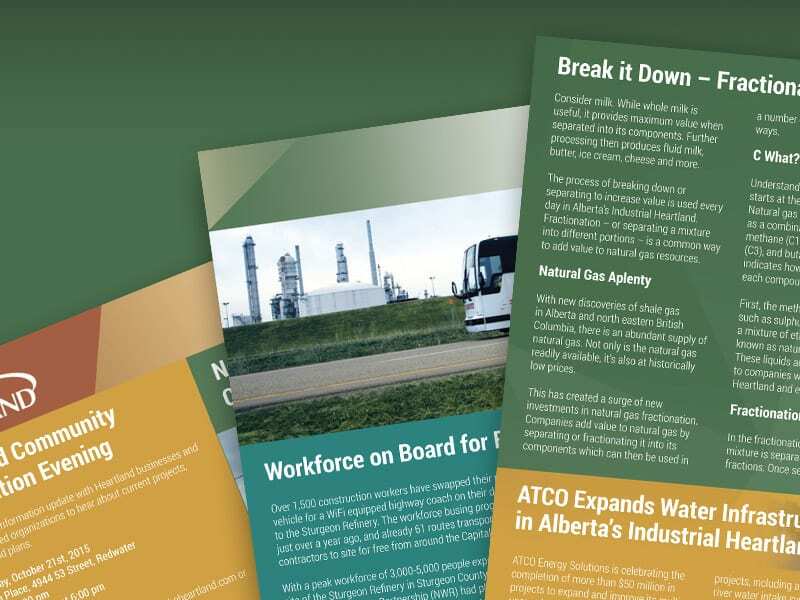 Our collaborative partnership leverages expertise from the Northeast Capital Industrial Association, Alberta’s Industrial Heartland Association, the Fort Air Partnership, and Northeast Region Community Awareness Emergency Response to pool our knowledge and deploy resources as a benefit to industry and community. This 10 year partnership recognizes that collaboration has more impact than a singular distribution of resources. We look forward to 10 more years of working for the community and in the community! Two significant investments are coming to Alberta’s Industrial Heartland. Pembina Pipeline Corporation, along with Petrochemical Industries Company K.S.C. (PIC) of Kuwait, announced in February a positive final investment decision to construct a 550,000 tonne per annum integrated propane dehydrogenation (PDH) plant and polypropylene (PP) upgrading facility. The project is the initiative announced through their equally-owned joint venture entity, Canada Kuwait Petrochemical Corporation (CKPC). The PDH/PP Facility will be located in Alberta’s Industrial Heartland, adjacent to Pembina’s Redwater fractionation complex and will consume approximately 23,000 barrels per day of local propane. The PDH/PP Facility is expected to be in-service in mid-2023. 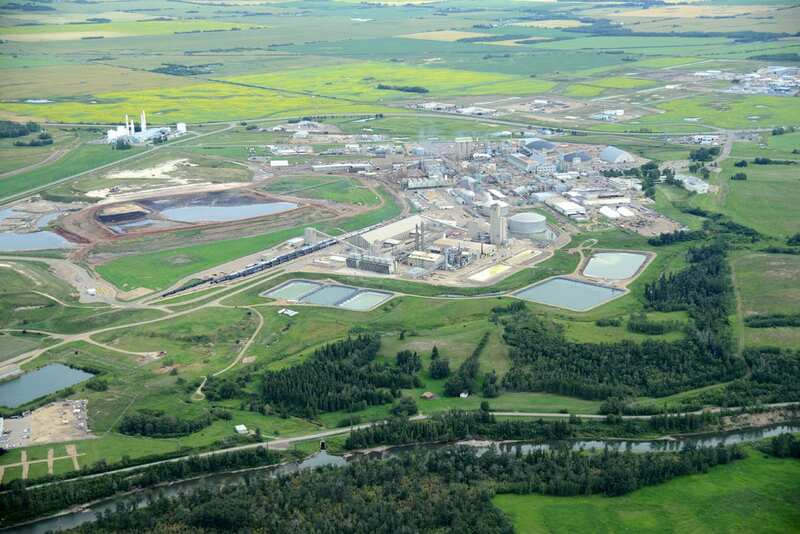 In addition, Value Creation Inc., has also announced plans to construct a bitumen partial upgrader in Alberta’s Industrial Heartland. Value Creation says the first phase of its Heartland Complex will process 77,500 bbls/d of diluted bitumen into a medium crude oil and an ultra low sulphur diesel. The company said it expects the facility to be operating by 2022. Together these projects represent more than $6.0 billion in capital investment into the region and will results in thousands of jobs and billions in regional GDP spending. In October, 2012, the Canadian Council of Ministers of the Environment (CCME) agreed to new Canadian Ambient Air Quality Standards (CAAQS) for fine particulate matter (PM2.5), ozone (O3), nitrogen dioxide (NO2), and Sulpher Dioxide (SO2). The CAAQS are part of a collaborative national Air Quality Management System (AQMS), to better protect human health and the environment. If and when an air zone reaches orange or red thresholds, preparation for or execution of a management plan are deployed. In September 2015, Alberta Environment and Parks released the Alberta: Air Zones Report 2011-2013 where it showed that the Red Deer Riverside air monitoring station exceeded the CAAQS for fine particulate matter (PM2.5) and assigned the Red Deer air zone to the Red management level. 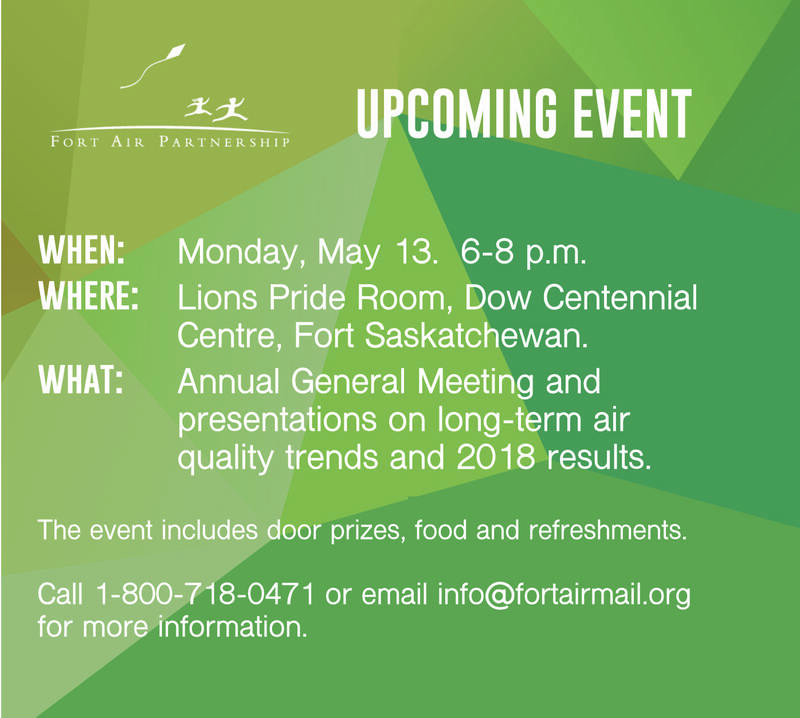 This exceedance from the 2011-2013 assessment led to the development of the Red Deer air zone PM2.5 Response in April 2016. The recent reports for 2012-2014 and 2013-2015 showed Red Deer air zone remains in the orange management level, highlighting the need to continue implementing the actions committed to in the Red Deer PM2.5 Response. Starting with the 2011-2013 CAAQS assessment, the North Saskatchewan air zone (in which the Capital and Heartland Region are in) was assigned to the orange management level (“Actions for preventing CAAQS exceedances”) for O3 and both the 24-hour and annual averaging periods for PM2.5. Stations in the Edmonton Metropolitan Region were the driver of the management level assignment to the North Saskatchewan region as a whole. Also, for the CAAQS assessment, released in April 2018 for the assessment periods of 2012-2014 and 2013-2015, the North Saskatchewan air zone was reported to be in the orange management level for O3 and the 24-hour and annual averaging periods for PM2.5. Management planning efforts is required to address potential emission sources of PM2.5 and O3 in the Edmonton Metropolitan Region. It is also further anticipated that under CAAQS in 2020, NO2 will require management actions in the Edmonton Metropolitan Region. About the Industrial Air Emissions Management Program (IAEMP) The Industrial Air Emissions Management Program (IAEMP) was introduced by Alberta Environment and Parks to address CAAQS metrics, identified above, in the Edmonton Metropolitan Region and the Red Deer Region. The primary driver for action is the concentration of fine particulate matter (PM2.5) that require management action in these two regions of Alberta. PM2.5 are formed predominantly from secondary chemical reactions involving oxides of nitrogen generated from industrial point sources (upstream oil and gas, petroleum refining, chemical manufacturing, cement manufacturing etc. ), power generation, and non-point sources (transportation, commercial and residential heating, etc.). So to make improvements to the CAAQS metrics, both point and non-point sources need to be addressed. The IAEMP is a first step to identify oxides of nitrogen (NOx) emission management gaps from point sources within the regulatory jurisdictions noted above. The program was developed to quantify industrial equipment that is releasing NOx and understand what processes and technologies are being used to manage those emissions. Identify current equipment and quantify emissions at each facility. Understand the maintenance and operational performance of current equipment. Identify current control technology and/or processes. Understand maintenance and operational performance of current control technology and/or processes. Implement management initiatives (through industrial approvals, policies, regulations, guidelines, etc.). There are two multi-sector groups – the Red Deer Air Quality Management Advisory Committee and the Capital Region Oversight Advisory Committee – that are working with Alberta Environment and Parks on this program. The Northeast Capital Industrial Association (NCIA) is a member of the Capital Region Oversight Advisory Committee. These committees will help to identify and implement actions to address priority air quality issues in these two regions. Alberta Environment and Parks is responsible for oversight and delivery of the program, assessment of the ambient air quality, initiating management responses when required, ensuring management actions are implemented, and communicating on the air quality management actions that occur.